Have a look at this useful YouTube clip produced by Blackboard. 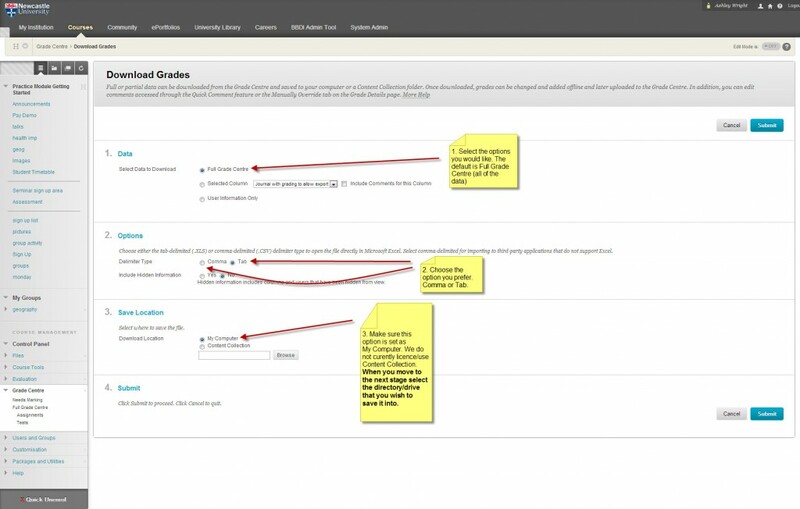 If you wish to export your grades and upload them elsewhere, for example to NESS or SAP this will show you how to extract them. 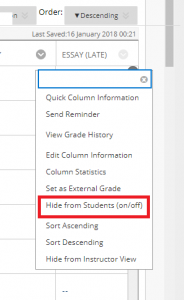 If you need to download scores from a test or assignment (eg a GradeMarked paper), you can download them to a spreadsheet and then upload them to NESS. See the post “Transferring scores from Blackboard to NESS” on the OLAF (Online Assessment and Feedback) FAQ pages. 1. Download the grade centre. Visit the Full Grade Centre in the Control Panel area. 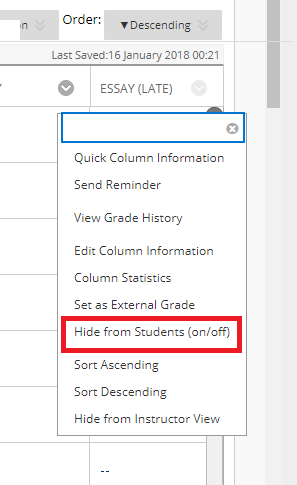 Once you are in the Grade Centre area select the Work Offlinearea on the right hand side of the window. In the next window select the options relevant to you. 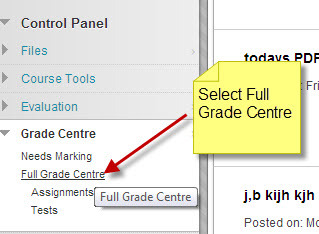 If you wish to download all of the grade centre information select full grade centre. See the image below for a more detailed explanation of the options. Once you have clicked Submit you will see this screen. Now click on the DOWNLOAD button. This will have downloaded a file to your PC/drive.IMPORTANT:When you open this file you will see a message, similar to the one below…..select YES. 2. Amend the xls/csv file.Now add the column(s) of data to your file . Make sure the students listed are in the same order as the information that you are about to enter. Save the file on your PC/drive. In the example below I used File > Save As and as you will see the format that is displayed is unicode text. DO NOT ALTER THIS FORMAT TYPE. Once you have saved the file that you wish to upload. Return to the full grade centre and the Work Offline area. Select Upload as detailed in the image below. Locate your file and upload it. 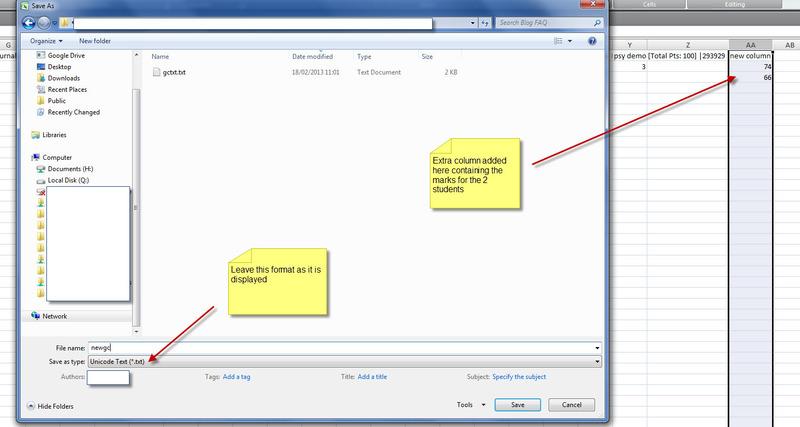 Amended view of the grade centre with the new column and data for the students.